Wikipedia defines it as a type of industry where the buying and selling of products or services is conducted over electronic systems such as the Internet and other computer networks. Electronic commerce draws on technologies such as mobile commerce, electronic funds transfer, supply chain management, Internet marketing, online transaction processing, electronic data interchange (EDI), inventory management systems, and automated data collection systems. Modern electronic commerce typically uses the World Wide Web at least at one point in the transaction's life-cycle, although it may encompass a wider range of technologies such as e-mail, mobile devices social media, and telephones as well. Excel Internet is an ecommerce website development company who offers rapidly scale able e-commerce solution with our proprietary e-commerce platform Ruby. Ruby offers quick and easy go-online solution for the customers who plan to sell their products & services online. Built on robust Microsoft Platform ASP.NET with MS SQL as RDBMS for your ever expanding e-commerce ventures to keep track of every single transaction your online store creates. Our ecommerce solution not just solves critical logistical problem but also automates the entire system and delivers the output is key indicators on a efficient dashboard. This allows you to tweak your ecommerce strategies and execute better sale plan. This foresight and excellent understanding of the ecommerce is what makes us a quality ecommerce website development company in India. 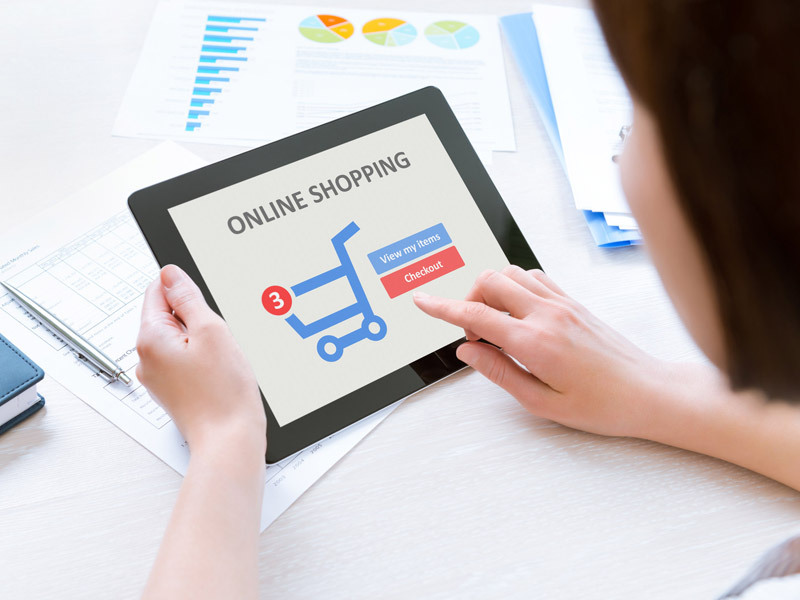 We just do not deploy a successful and proven ecommerce solution for you but also help you with its maintenance, ecommerce marketing and customizing the ecommerce solution to change you changing needs and changing ecommerce strategies; this adaptability is what makes us top ecommerce website design company in New Delhi, India. You may be a start-up exploring Internet based selling or a seasoned player, gearing to explore new markets or exploring new business opportunities. The ecommerce solution you choose to run your business should support your ability to execute every new strategies. Ruby offers a secure, robust and scale-up ready solution for your growing and expanding needs and helps you in achieving just the same. Ruby is designed to grow with your business by offering product with features that match your requirements. From a basic e-commerce store to advanced B2B e-commerce store for SMEs, Ruby has flexibility to match any requirement. B2B SME Enterprise rides on SAP platforms and help you in tracking every details of your B2B business across country or globe. Our proven case studies help you streamline and optimize your financial process and secure your Supply Chain Management with end-to-end tracking of every order from lead generation to fulfillment. A strong intuitive dashboard helps each business head to keep a tab on their online business using Ruby.